Tah-dah! 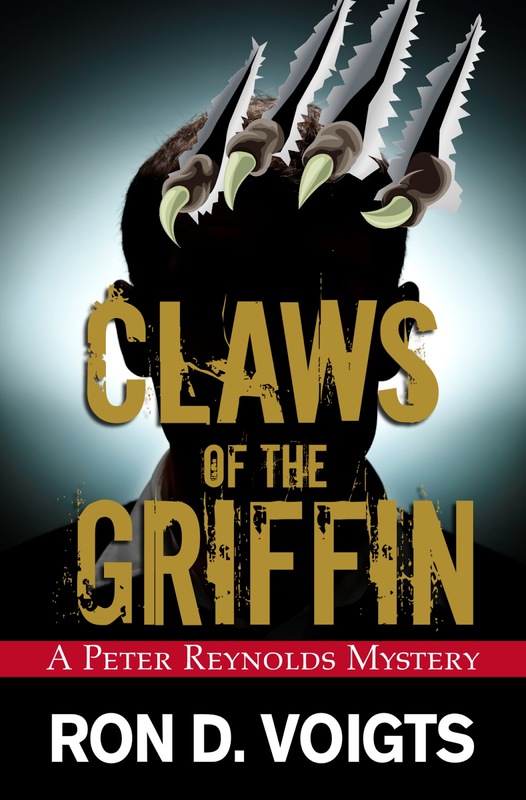 This is the new book cover for the upcoming novel Claws of the Griffin,. Ebook due out April 24th. The entire cover was redsigned with help from designer Joleene Naylor. The only thing resembling the original cover from the publisher are the claws ripping through it from behind the cover, which btw was my idea. The original cover from the publisher had a number of shortcomings. The background was red with no other image. As my daughter who runs the book blog Bittersweet Enchantment pointed out, it needed something. In this design, the image is of a man who's face is hidden in shadow. It added an element of mystery. Who is this man? The hero...the killer...? Another change is the title font. It looks scratchy like something that could have been clawed at by the Griffin. 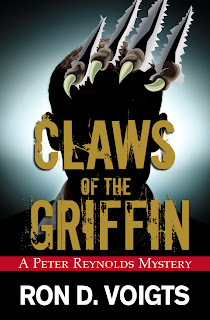 In the redesign, the banner "A Peter Reynolds Mystery" was corrected. The original had an apostrophe S making it "Reynold's" that was grammatically incorrect. During the book's brief stay on Amazon, a reviewer pointed out this mistake. The quote from author Rick Bylina was removed and will be used on the back cover. The quote was small with respect to an icon on the Amazon page advertising the book. Most people look at a cover for the impact that probably occurs in the first three seconds. I doubt a book recommendation on the cover has that much impact. Overall the new design is edgy.